Canadians looking for a stylish and safe way to stay hydrated can now raise a bottle to the arrival of SIGG reusable bottles in Canada. SIGG, the world-renowned producer of aluminum beverage bottles in Switzerland for over 100 years, today officially announced their arrival into the Canadian retail market. As reusable, recyclable and fashionable as they are functional, SIGG bottles represent the intersection of cutting-edge style and eco-friendly sensibility. "Canada is lucky to have some of the best water in the world," says Steve Wasik, CEO, SIGG Switzerland. "SIGG bottles offer Canadians a safe way to take their tap water on the go, while expressing their personality with a range of great bottle designs." SIGG's arrival comes at a time when many Canadians are taking an increased interest in reducing plastic waste and lowering their impact on the environment by choosing to drink tap water over bottled water. Recognized around the world for their Swiss quality and craftsmanship, SIGG's aluminum bottles provide a BPA-free, reusable alternative to buying plastic water bottles. "Canada is a leading global force behind both environmental and product safety efforts," says Wasik. "SIGG is extremely excited to be launching a subsidiary in this very important market." SIGG's innovative EcoCare bottle liner is free of volatile organic compounds and does not leach any substances, taste or odour into the beverage. SIGG bottles are manufactured in an ecologically-friendly facility, are 100 per cent recyclable, and are thoroughly tested and certified to be completely free of BPA, phthalates and other harmful substances. SIGG is a proud member of 1% For The Planet, donating one per cent of its worldwide sales to environmental causes. By the end of this year, SIGG expects to pass the $1 million mark in contributions to a better, cleaner planet. Backed by 100-years of Swiss expertise, SIGG is a brand of optimism and hope, of forward thinking and positive action. It designs and manufactures bottles to the highest standards of Swiss quality and craftsmanship. SIGG's ecologically sound bottles are reusable, recyclable and are as fashionable as they are functional. SIGG bottles exceed FDA requirements, with independent test results showing zero per cent leaching. 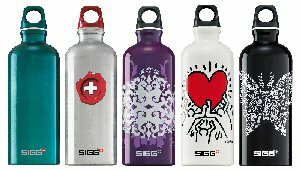 In addition to reusable aluminum bottles, SIGG offers Steelworks by SIGG, a line of stainless steel bottles, flasks and thermal mugs. 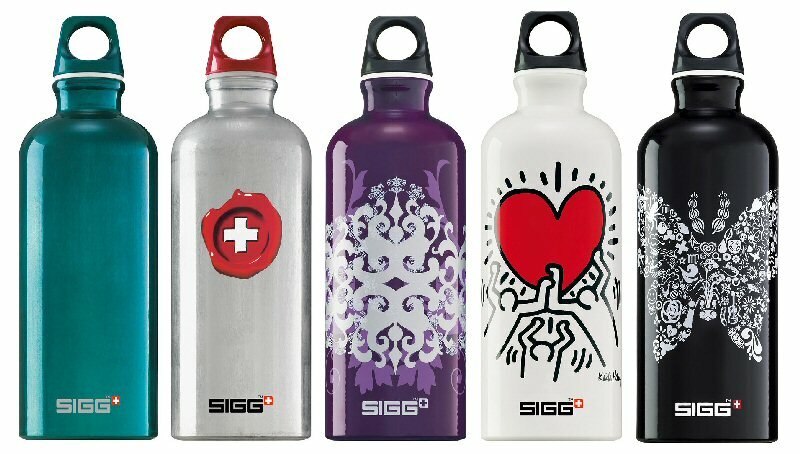 SIGG’s Swiss-made reusable aluminum bottles are BPA-free and available in a wide range of stylish, eye-catching designs (www.sigg.com). Learn how SIGG aluminum bottles are made with this inside look at the company’s manufacturing facility in Switzerland.